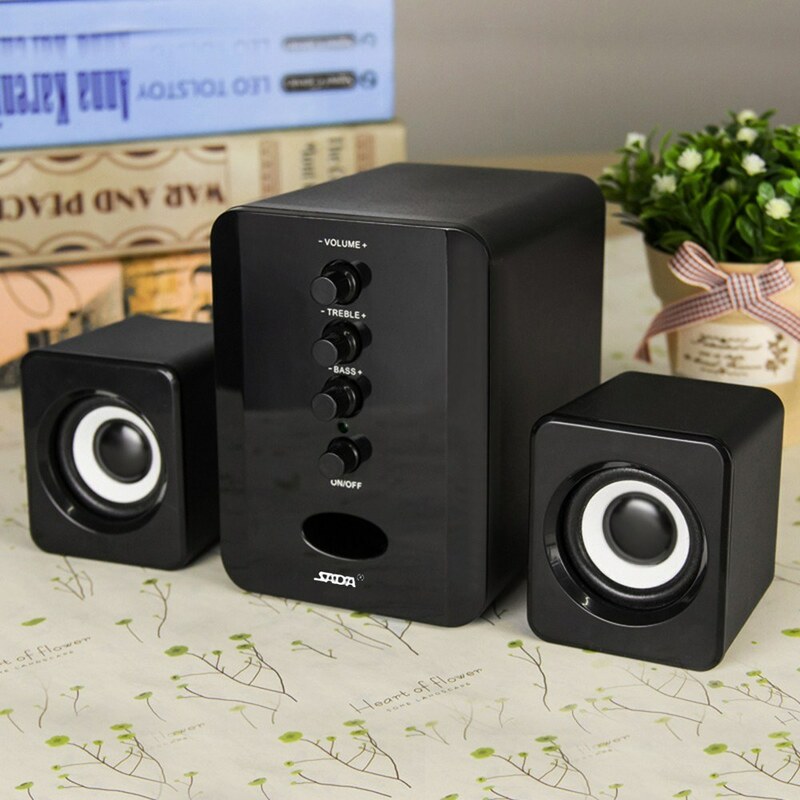 This set of mini speakers is specially designed for Desktop, Laptop, Notebook, Tablet PC. Its high-grade loudspeakers will bring you much wonderful music, a super companion for your outdoor activities and daily life. Steady and undistorted bass sound effect with stereo sound surrounding, which brings you wonderful music. Wide Compatibility: Perfect for desktop, laptop, DVD, TV, smartphone, tablet, and other devices with 3.5mm audio port. USB-powered, energy-saving and environmentally-friendly, safe and reliable. Exquisite design. Lightweight and portable, convenient to carry. Enjoy your music through three high-performance loudspeakers.